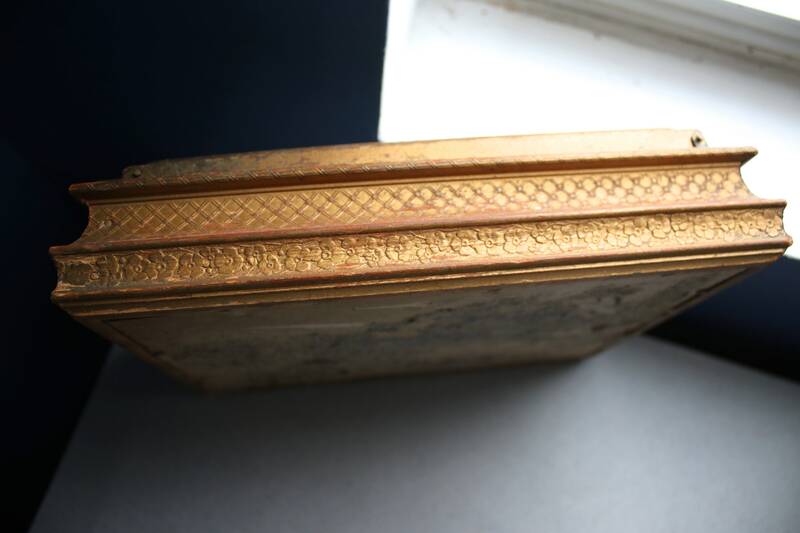 Vintage jewelry box with carved edges and 18th century style (Please note that this is “style” and not an actual print from the 1700s.) print under glass. 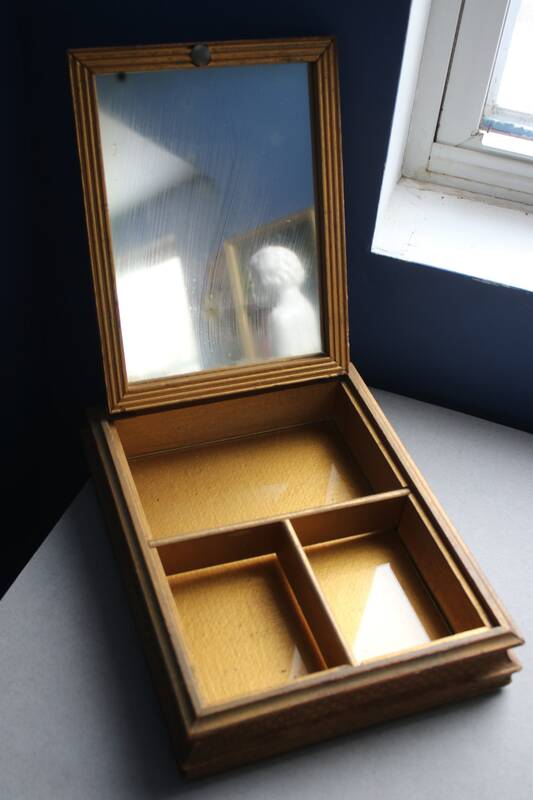 Mirror inside lid. 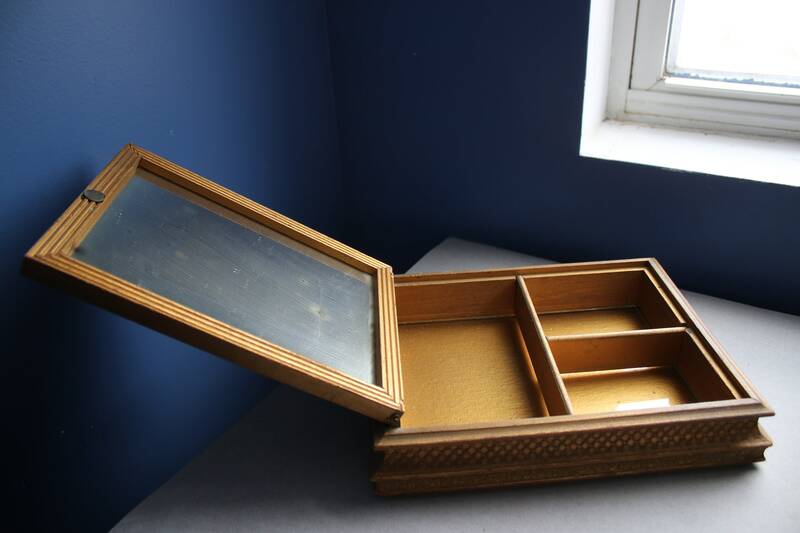 Wear to wood and mirror has streaking. No latch but lid lifts easily when grasped on each side. 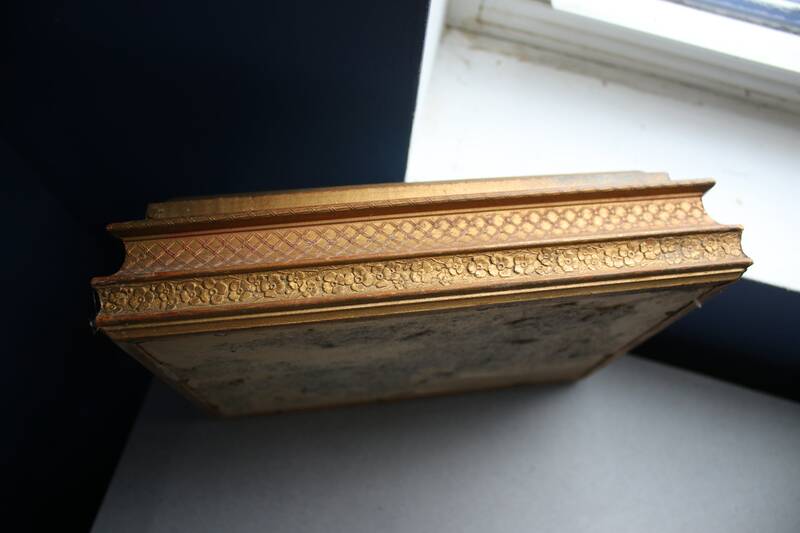 Gilt painted exterior and interior with three compartments lined with glass. 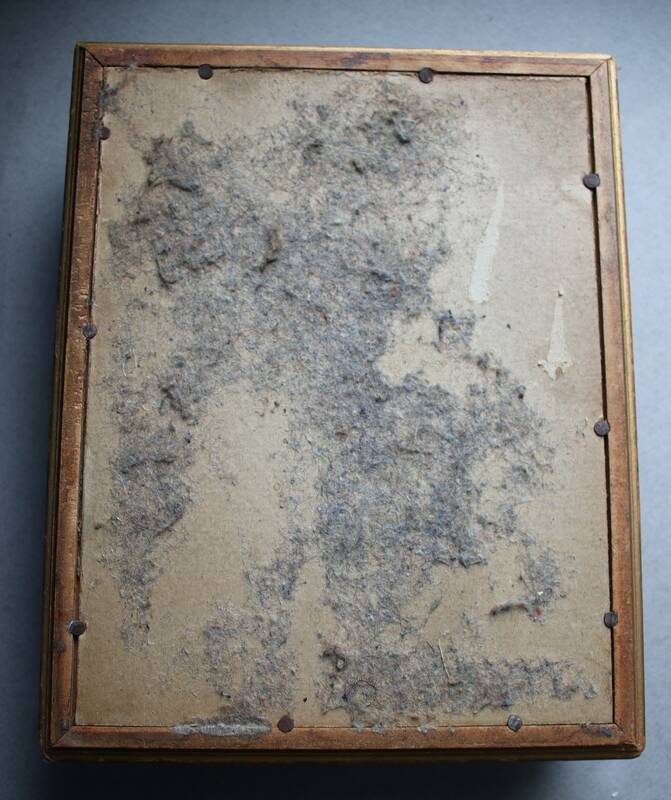 The underside of the box is cardboard and looks to have been lined with felt at one time. I believe the underside is comprised entirely of sturdy cardboard without wood. 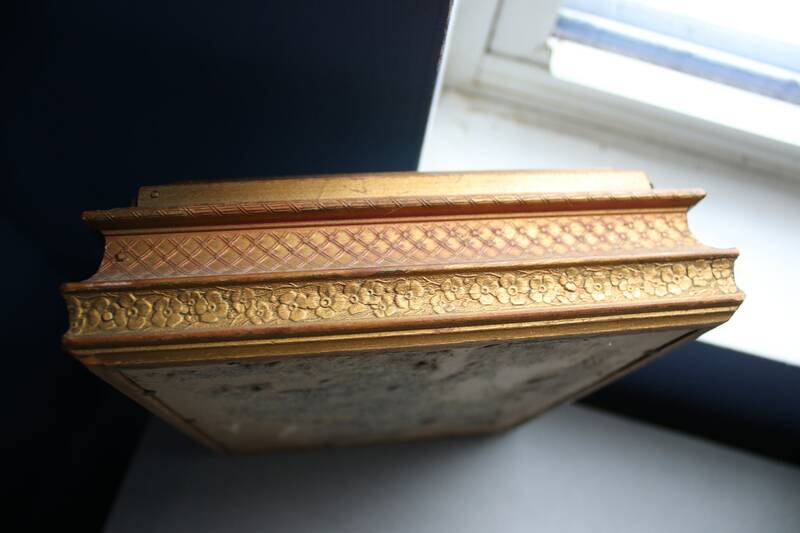 It looks as if the cardboard were painted gold as well in the interior of the box. Bottom of box measures 10" x 8". Lid, measured from edge to edge of print, is 8" x 6". 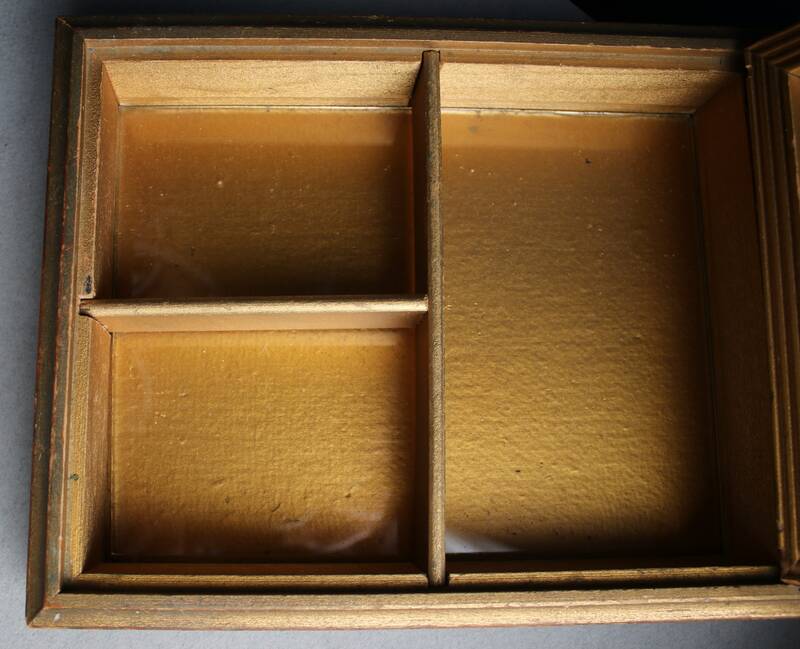 Depth of compartments is 1.5". I’ve seen these boxes attributed to the 20s, 30s, and 40s. 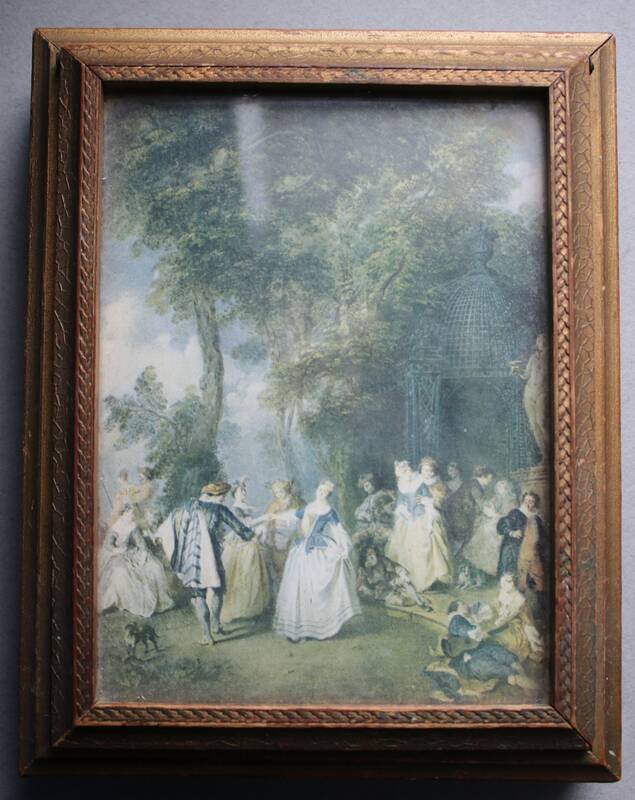 Since I cannot be certain of its age, I am listing this as vintage without a particular era ascribed. Any shipping overage of $1.00 or more will be promptly refunded upon shipment of your jewelry box.